It can seem like every buzzy wellness café or boutique fitness studio is in one of two places—New York City or Los Angeles. You might even assume that these cities are among the five most regularly exercising metropolises in America but—spoiler alert—they’re not. Fifty-three percent of us are actually exercising three or more days a week for 30-plus minutes, the highest rate since Gallup started recording. Today Gallup and Sharecare shared statistics on national and community exercise rates, which found that the percentage of US adults who don’t exercise at all is down 3 points to 27 percent (#YAAASSS). Not only are people exercising more, but 53 percent of us are actually exercising three or more days a week for 30-plus minutes (which is on the right track for maintaining youthful cells), the highest rate since Gallup started recording. As far as where most of this movement is happening, the highest performing cities are all in Colorado and California. Coming in on top is Boulder, CO, at 70 percent, followed by Fort Collins, a few miles away, at 68 percent. In third place is the central California San Luis Obispo-Paso Robles-Arroyo Grande area, with a rate of 67 percent. Fourth place is another Colorado city, Greeley, at 65 percent, and Cali’s Santa Rosa is in fifth place at 62 percent. 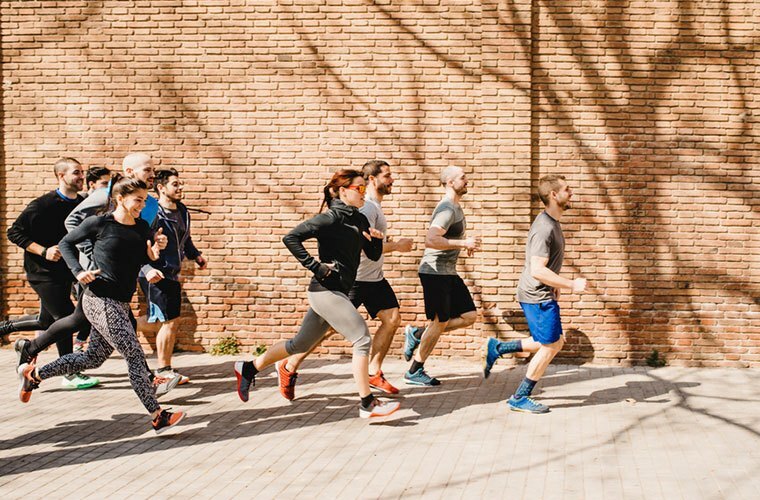 Aside from being important for endorphins or lengthening your life, Gallup reports that high-exercise communities also see lower rates of obesity, diabetes, depression, high blood pressure, and a number of other chronic diseases. What you do with this information is up to you, but cross-referencing it with the best cities for career babes is probably a smart move…just sayin’. If you’re staying fit with your pup in tow, check out this guide to America’s most dog-friendly cities, or take a field trip to your state’s best waterfall.